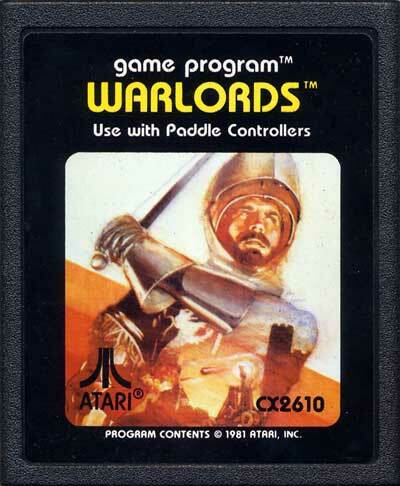 When looking at the Warlords cartridges for variations, you will look in two places for easy identification. 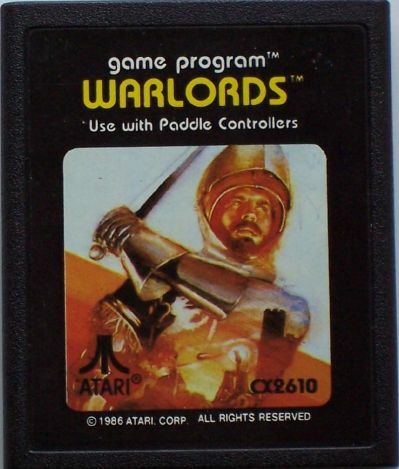 Above the helmet, there is a crease where the arrows are pointing up. In version a, the crease extends up between the "r" and "o", version b is below the "r", and version c is below the "o". 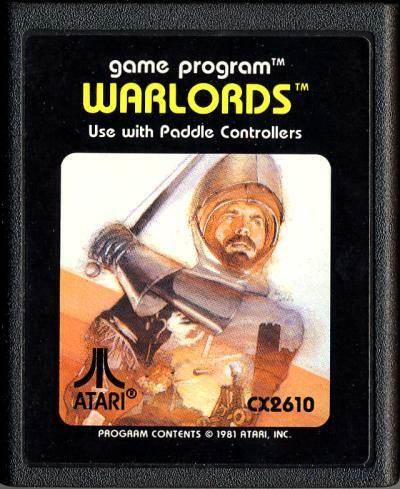 The logo and arm, located at the bottom left, deals with the placement of the Atari logo and his arm. 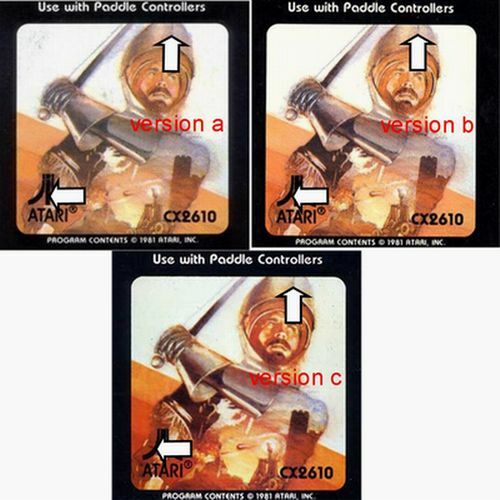 In version a and b, his arm is inside the picture, while version c, his arm is touching the border. 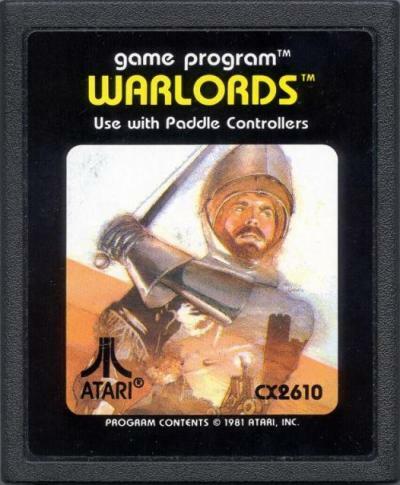 Also look at the Atari logo itself. In version a, the logo touches the edge of his arm, version b has it slightly inside his arm, and version c has it extremely inside his arm.